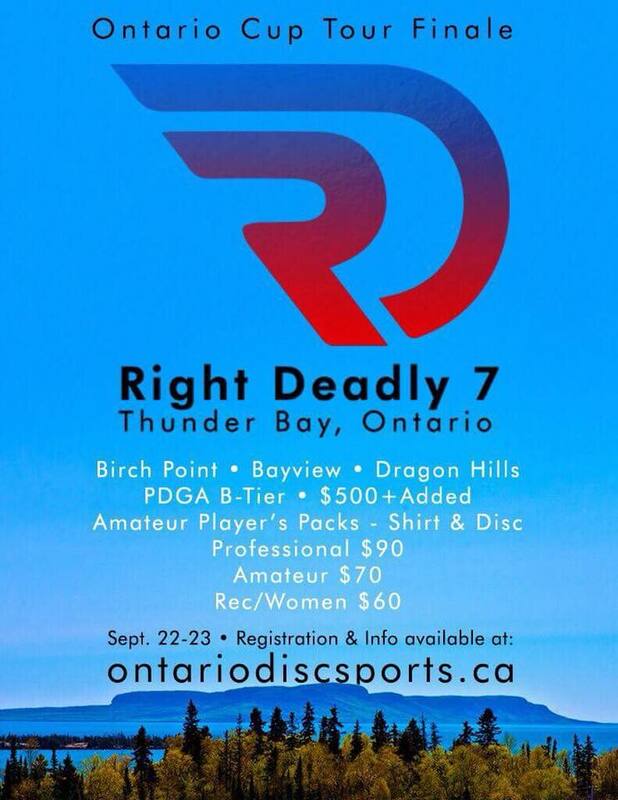 The Thunder Bay Disc Golf Association will be hosting the 7th Annual competetive disc golf tournament, Right Deadly 7, on September 22-23, 2018 right in our very own backyard! With some incredible out of town players that are PDGA ranked, coming from places like Minneapolis, Minnesota, the stoke is high. In Thunder Bay we have a wicked disc golf course spawned from some super motivated athletes. We want nothing more than to reach at least 50 local participants to ramp up the energy and show everyone how game Tbay is. Get registered today! All skills welcome from amateur, to professional. Also it would be a shame not to mention The Haven Hostel accommodation right downtown Thunder Bay! Where you can hit up all the good eats and pubs right after a proper disc golf workout. Thunder Baytians and our neighbours… let’s go!